Arc is a video and audio repository tool within Canvas. 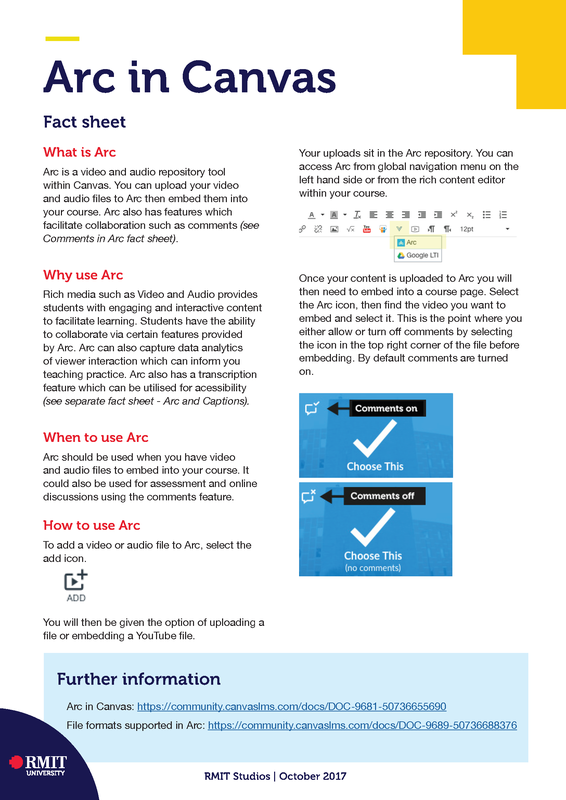 You can upload your video and audio files to Arc then embed them into your course. 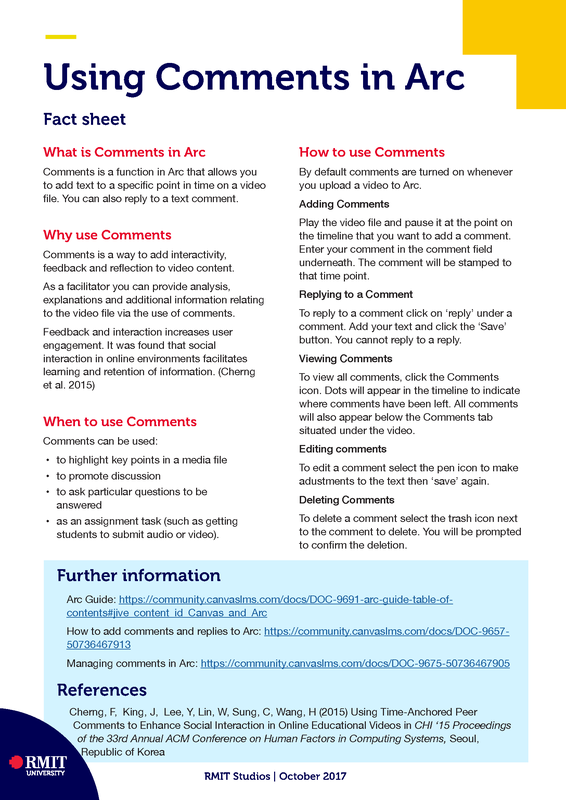 Arc also has features which facilitate collaboration such as comments and can captions videos that you upload. How can I record directly into ARC from my computer? To record a video from your computer, start by selecting Courses in the global navigation menu and then Arc Media Library. In the top right you will see a Record option. Click record then Webcam Capture. You may then be asked to give Canvas permission to use your camera. A new screen will then pop up with options for what you want to use to record the video and audio. Make your selections and then click the blue Start Recording button in the centre of the screen to start recording. 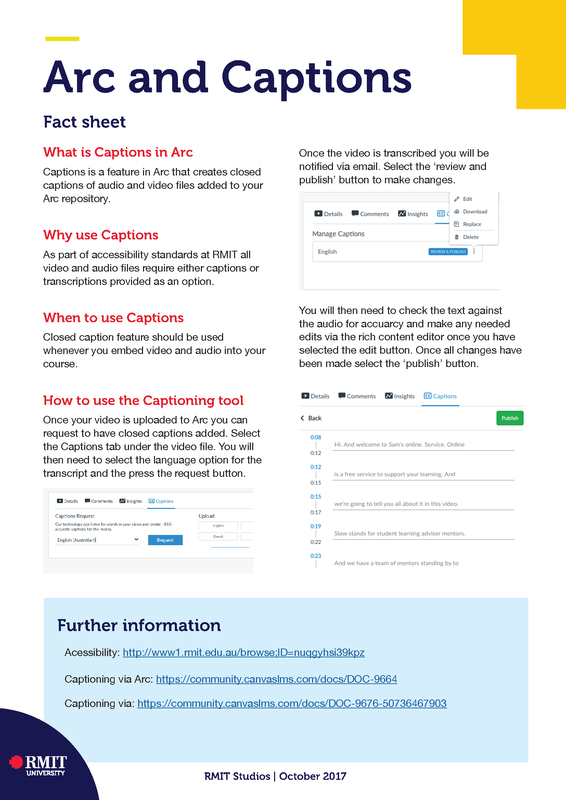 After you have finished recording name the video and save it to your Arc Media Library. Please note that at the moment they only work with Mozilla Firefox and Google Chrome.